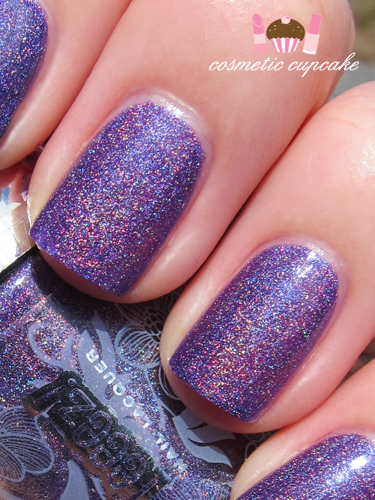 Outta Control is a beautiful scattered purple holo with some linear effect. 2 coats is pictured. 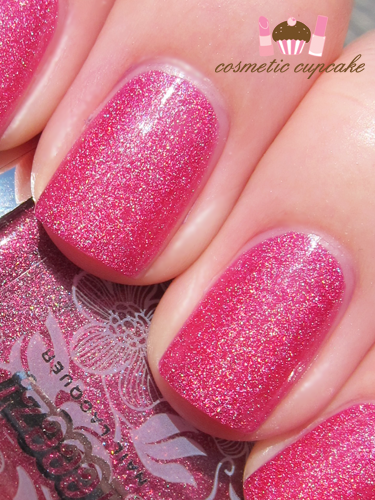 Smooth is a medium scattered pink holo. 2 coats is pictured. Cool is a pretty blue scattered holo. 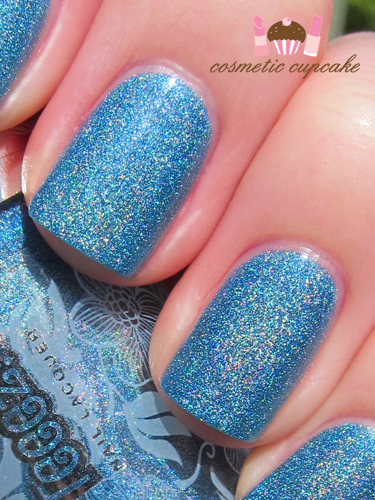 I love blue holos!! x) 2 coats is also pictured! These applied like BUTTER and you could probably get away with 1 coat if you're careful. The brush is great to use and very minimal cleanup was needed. Dry time was very reasonable too and they are super glossy! I want all of these! Those are such gorgeous colors. Love love love them! They are beautiful aren't they? Sigh! I'm so lucky to have receive them seriously! wow :O the colors came out amazing! i still really love the blue :D but dayam the glitter is really mesmerising! Thanks Moni!! Hehe whenever I have a day off I pray for sunshine cos I can swatch away. Especially my holos so I can get the full holo effect!! I didn't know they sold Teeez cosmetics over there. It's so cool. I love the brand. It's fun & flirty. Their nail polishes are pretty awesome. Unfortunately Teeez isn't sold here in Aus. 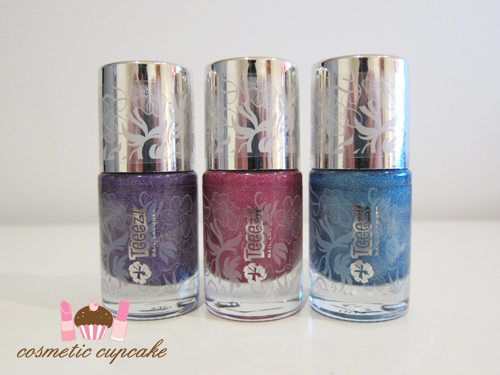 I received these gorgeous polishes as part of an awesome swap =) these are my 1st Teeez products and I'm so impressed! I hope to try more in the future. These are all so cute! I love all of them! Glad you like them Yasmin!! 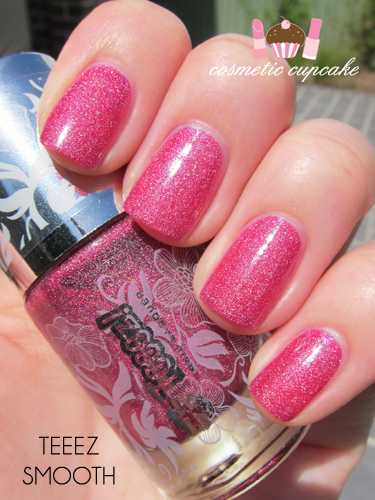 Yeah I know =( Why do they always make the beautiful polishes hard to get??! Glorious! I have such a weakness for holos. :P Looking at the bottles I expected the blue to be my favourite but, on the nail, Smooth has charmed me! They are all so gorgeous hehe. Hard to choose a favourite! These look so pretty! I don't own a single holo polish, but I think I really need to rectify this. They're so pretty! oh wow these colours are gorgeous!! I love your blog! I'm your newest follower! I love the purple color on you the most - it's very pretty!